Home→Public Works→The greatest public works project? The greatest public works project? In 1919, Lt. Col. Dwight D. Eisenhower was part of the Transcontinental Motor Convoy, where 80 military vehicles drove from Washington, D.C., to California to test the usability of the United States road system. This was far from the straightforward task that it is today. Along the way, Eisenhower documented his travels in a series of reports, which can be found on Archives.gov. The farther west the convoy went the worse the road conditions seemed to be. He described the road in Maryland as “of concrete, and excellent in all ways, except that it was a little narrow for convoy work.” A “great portion” of the roads in Indiana and Ohio were paved. He wrote that the dirt roads in Iowa were “well-graded and good in dry weather.” Unfortunately for the convoy, they were also undrivable when wet. By the time he and the convoy reached western Utah, he wrote that the roads were mostly “impassible” for heavy vehicles. These lessons he learned traveling with the Transcontinental Motor Convoy stayed with him through his time as the supreme commander of the Allied Forces during World War II. It was there that he saw the significant advantage German forces had thanks to the efficiency of the Autobahn. By the time he was president, he knew that America was in desperate need of an equally dynamic highway system. Th is is where the motivation for the Federal-Aid Highway Act of 1956 came from. This more than 41,000 interstate highway initiative created the roadway infrastructure that the United States still relies on today. The project was completed in 1961. 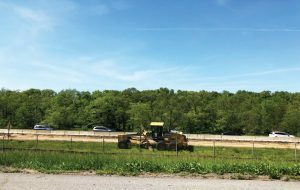 Initially, the thought was that the only way to fund the project was tolling, but instead, bonds were used. 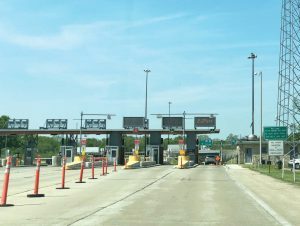 According to the U.S.
Federal Highway Administration’s website, the bonds were retired by the federal gas tax, which was dedicated to the interstate system for a 30-year period. Today, upkeep for the interstate system is still largely paid for by federal taxes to gasoline and diesel. According to Hecox, one of the biggest breakthroughs, when it comes to road construction, happened within the past decade. It is warm mix asphalt, which can be applied in lower temperatures than typical asphalt can. Advances are also being made to the strength of concrete, making it more durable. However, even given all the advancements in technology, updating and keeping the interstate system could be exponentially more difficult in the future, now that fuels such as hydrogen and electricity are growing in popularity. Vehicles that run on gasoline also require much less gasoline than they used to. Today, it’s not uncommon for a vehicle to use only one gallon of fuel per 40 to 50 miles. According to Hecox, when the interstate system was first being built, many vehicles were only traveling 10 to 11 miles per gallon. “You just have less revenue pour into the kitty to pay for the highway system that more and more people depend on,” he said. Solving this problem won’t be easier either. 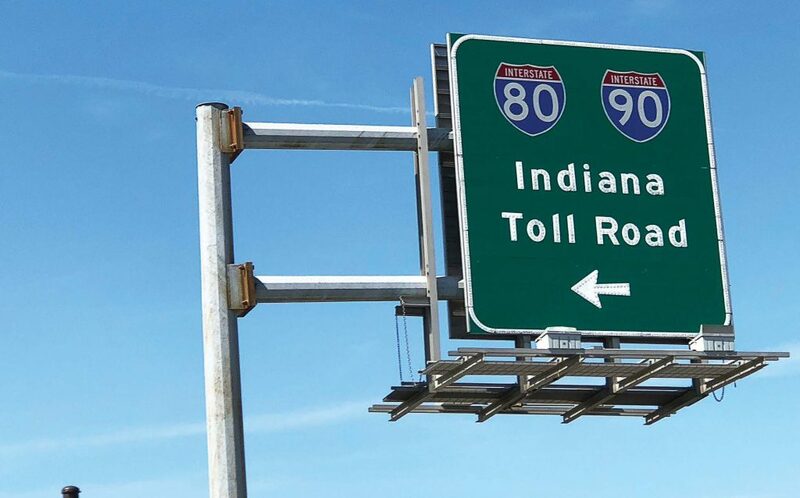 Hecox said that many American politicians have been aware of this problem for years, but have yet to come up with a plan to pay for the interstate system in the future.